These Phantom saddle bag brackets fit 1993-2008 Harley Davidson Touring Models® Road King, Road Glide, Electra Glide & Street Glide. These brackets give a floating effect to your saddle bags by eliminating the rear crash bar in front of the bags. 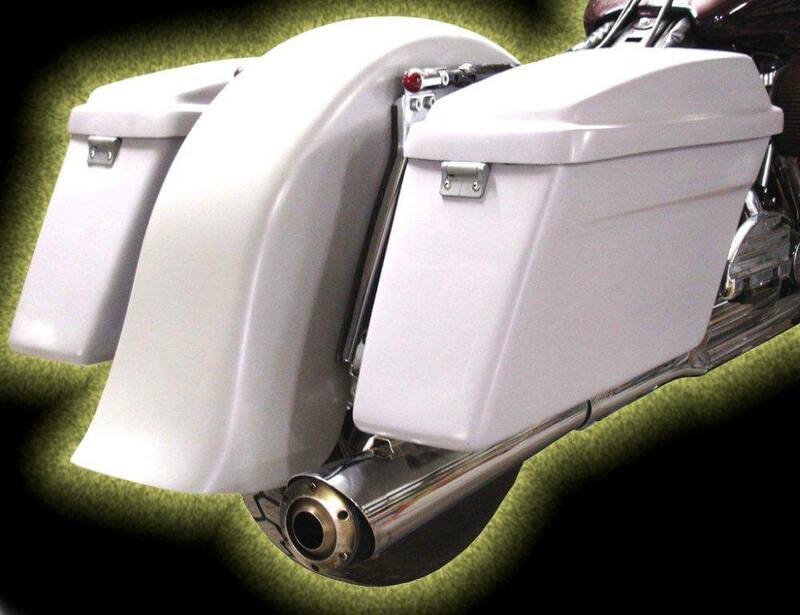 This will ultimately give your bike the clean look of the newer Touring models. Unlike stock or other aftermarket brackets, these 100% Made In the USA stainless steel brackets have slotted holes to mount and keep your bags level. They come powder coated in SUMAX gloss black, complete with stainless hardware and rubber bumpers for easy installation. 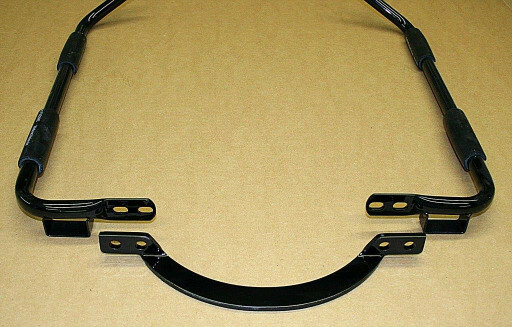 We recommend that you use our horizontal support bracket 8810 to replace your stock brace for a cleaner look! 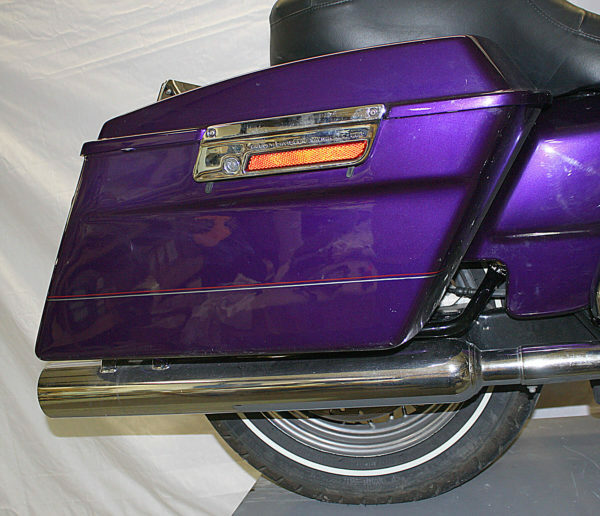 Works great with longer custom fenders as it will hide under the fender. Note: Due to increased shipping costs we no longer sell these overseas. For our customers in Europe, you can buy these through SUMAX authorized dealer Zodiac, or in Asia through Parts Max!